In the race to mitigate climate change, we are experiencing a rapid and unprecedented number of offshore wind energy development proposals in the United States. Atlantic coastal states and the Bureau of Ocean Energy Management are moving swiftly through the review process in hopes of achieving lofty goals to fulfill staggering amounts of renewable energy production. From Massachusetts to South Carolina, more than 20 projects totaling over hundreds of thousands of open ocean areas are moving forward in different stages of planning and approvals. While the American Littoral Society understands and supports the need to pursue clean and renewable energy sources to reduce our reliance on fossil fuels, we also caution that the pace of offshore wind must slow down or yield to protections necessary for a healthy ocean. Without proper planning and engagement from everyone with a vested interest – from shore town homeowners to energy developers – would be irresponsible, unsustainable, and ill-informed. Although offshore wind should be considered environmental protection in and of itself because it is helping to reduce our dependence on dirty and nonrenewable sources of energy, state initiatives for projects and federal agency reviews must still ensure that these projects are carefully sited to avoid harm to marine ecosystems, wildlife and habitats, while also minimizing impacts on such sustainable traditional uses of the ocean as fishing. The key to successful offshore wind projects lies in meaningful and robust stakeholder engagement and responsible siting. Read the American Littoral Society’s responsibly sited wind position here. In March, the American Littoral Society hosted a forum that brought together New Jersey recreational anglers and fishing liaisons from several wind energy developers to discuss wind projects happening off the coast of New Jersey and in the New York Bight. The evening included conversations about the benefits or possible detriments of wind farms on fishing in the ocean waters off our Atlantic coast. The forum attendees noted concerns about wind farms proposed in conflict with Prime Fishing Areas for recreational anglers; fish habitat impacts; the distance between turbines and turbine wake effects; the types and installation of foundations and impacts to sea life; cable routes and radar interference; decommissioning terms for removal of structures; and the collection of scientific studies. Also discussed were issues around public access including angler and public exclusion from the transmission nodes within the arrays; possible environmental disturbances from the shore-based components of this project, both during construction and operation; and potential unknown EMF impacts to benthic migratory fishes such as sharks, skates and rays, as well as flounders of various species that inhabit the project area. A recent study from a Danish wind farm seems to suggest flounder species won’t cross cables during periods of high volume energy transfer. “Flounder primarily crossed the cable when the strength of the electromagnetic fields was estimated to be low, i.e. during calm periods”. The study is also clear that while EMF may alter migration, it certainly doesn’t block it. The best available science currently is provided by sources involved with overseas wind energy projects where offshore wind turbines have existed for decades – this is because the United States has limited hands-on experience with this process. 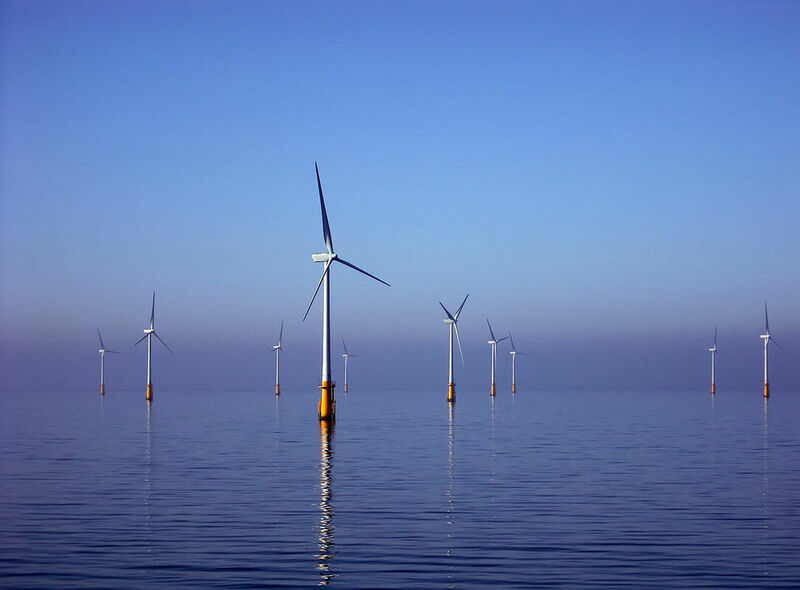 Block Island wind farm off the coast of Rhode Island is the first and only project in the waters off the US coast and has only been operational since 2016. From fishing grounds, to marine life and habitat, to migratory pathways, to shipping routes, to future land-based cable connections, and more -- wind energy development must not happen without addressing the needs of everyone and everything that relies on a clean and healthy ocean. Because the ocean cannot speak for itself, it is up to us to push our leaders to consider the how all of these other uses – old and new – will affect the ocean. While there are real opportunities here to mitigate our fossil fuel dependence, there are also real risks to things that are just as important: such as whales, fish, and other wildlife living in the ocean. We need to hold decision-makers accountable. We are the beneficiaries of the public trust these ocean resources are placed in. The ocean and its resources belong to us – and are managed by state and federal governments on our behalf. Moreover, the ocean does not exist solely for our benefit, it is also vital habitat worth protecting in its own right. As we sprint toward the future with all of its demands and possibilities, we must keep in mind that it isn’t simply our right to use the ocean, but our obligation to preserve it for future generations to come.